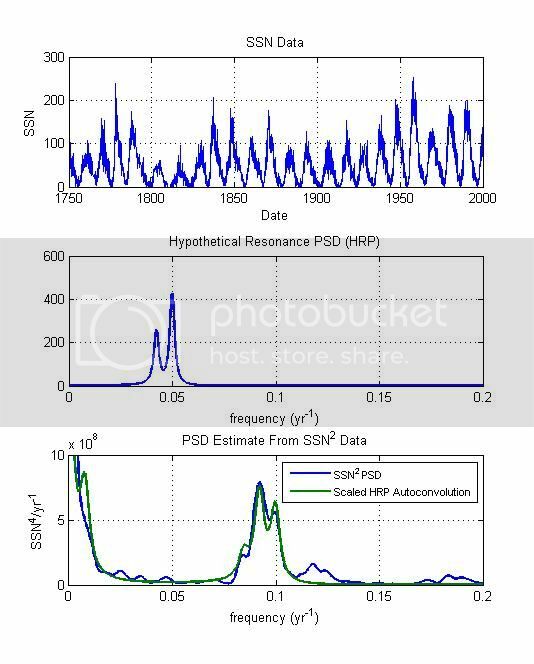 A Dalton-like Amplitude for Solar Cycle 25 | Watts Up With That? The most accurate method for predicting the amplitude of the next solar cycle is to use the strength of the solar polar magnetic fields at solar minimum. But with solar minimum likely to be three years away, who can wait that long? Over the last year the solar polar magnetic fields of Solar Cycle 24 have strengthened to almost the level of Solar Cycle 23 at the same stage. But for the previous two cycles, they also weakened a bit from this point. All things considered, the amplitude might be around 40 at solar minimum, which may be three years away. That in turn corresponds to a maximum amplitude for Solar Cycle 25 of about 55. The original data is available here. If this relationship is true, then the fall in maximum amplitude from Solar Cycle 23 to Solar Cycle 24 should be the same as the fall from Solar Cycle 22 to Solar Cycle 23. The respective falls are 39 and 38. A fall of 39 from the maximum amplitude of Solar Cycle 24 gives us a result of 43. In 2014, Dr Javaraiah Javaraiah of the Indian Institute for Astrophysics in Bangalore published a paper which has a similar prediction for the maximum amplitude of Solar Cycle 25 of 50 (on page 15). In summary, a few methodologies are givings us predictions for Solar Cycle 25 which straddle the amplitudes of the Solar Cycles 5 and 6 of the Dalton Minimum which had maximum amplitudes of 49.2 and 48.7 respectively. Expectations of climate can be adjusted accordingly. David Archibald’s most recent book is Australia’s Defence. November 19, 2015 in Solar. suggest that as of Nov 2015, the south has exceeded the 2010 level, Cycle 25 would be no weaker than 24. Caution word. Extrapolation must always be taken with great dose of salt. ‘Somebody’, unless your name is Al Gore or Dr Hansen, science is not 100%. Suggest by definition means to show something is likely to be true. How is that a weasel word? Unless of course, when you hear the words ‘Settled Science’ you close yourself off to any further discusions? It is a weasel word only if they make dire predictions and seek to manipulate policy based on what the data suggest. Dr. Svalgaard hasn’t done that, but Team Hansen certainly has and will do so again. “Suggest” is not a weasel word, it is an accurate word when talking science. Science doesn’t “know” anything, it seeks knowledge. The problem I had with the orig8inal post was the statement was referencing an 8000 year cycle peaking in the mid 20th century. That is not a “known” thing, that is a suggested or suspected” cycle length. In about 6000 years or so, we might be able to refer to a “known” 8000 year cycle, assuming it starts to repeat itself, but it’s guesswork at this time. Suggest is what science does correctly, it’s not just cautionary, it is the only thing science can do. And this is why climate science is so bogus – it says it knows, and there is no way that it does since it bases its knowledge in proxies, not in actual data. Science is not 100%, but pseudo science is a large percentage composed of weasel words. That’s the way of avoiding falsification. No definite claims whatsoever. It is usually the other way around. Science is never sure, pseudo science always is. I will wait and watch and will not forget Leif. More importantly: I’ll not forget ! ” Extrapolation ” is a $3 word for ” stepping off a cliff “. “Suggest” is usual scientific language, not a weasel word. Models may be quite good. But I suggest that not all models are (were) perfect predictors. Goodness – ‘prediction’; helps keep the internet busy, differentiating it from – oh – out-turn, modelled result, guesstimate, indicated future, even grant-fodder – and possibly other supposed synonyms. Unhappily, this sort of indicates possible cooling. A degree [F, or C, or R even] of warming – over a decade or two – will certainly be welcome, for most of he non-Tropical world. What would the Scottish Highlands give for a degree warmer on average – perhaps two degrees warmer in inter – but the same temperature in summer – to boost agriculture, whilst not encouraging mozzies! Kills people, livestock, mozzies – crops. Are you at the point to give your prediction for the next cycle? No weaker than 24 is an interesting result in itself. Do you have an upper bound? No upper bound yet derived from direct observations during this cycle is possible. For that, we must see what the average polar fields over the three years before the next minimum turn out to be. What is everyone worried about? GISS, Hadley, and NCEI will all adjust the global temperature and we will all be warm. Agriculture will be just fine and everyone will have food. I would advise a degree of caution here. Relationship between polar magnetic field strength at a sunspot minimum and the following SSN peak has been accurately measured only since mid-1960s. Cycles 21,22 & 23 were all relatively strong, seeding (according to the current theory) the next generation of polar fields. However, we have no instrumental observation which would indicate what happens during weaker cycles such as SC24. If relationship is maintained (we might know sometime around mid-2020s) then the theory might be confirmed. According to my (strongly disputed method) SC24 looks like to peak around 80 (in the old numbers) confirming extrapolation as proposed in 2003, the amplitude of non-smoothed SC25 is projected to be 50-55. Your strongly disputed method does make testable predictions. It may well be wrong but it is scientific. And thank you for the information that the correlation has only been tested on strong Cycles. The weak cycle SC24 was the test of the method, which it passed with flying colors. According to what ?! We have no clear idea of either the magnitude or the mechanism of the effects of sun spots on climate. I’m not saying I don’t think there is one but with virtually nothing to go on such a bland statement is pretty meaningless and effectively misleading because it implicitly assumes that there is a notable affect and suggests this is known fact. IMO the statement refers back to the title, ie noting the connection between solar minima and cooler climate, as during the Dalton and Maunder minima. Then may I suggest that it is not done. As the extrapolation is well founded, it does give some indication of the likely change, which is better than nothing. Only if it doesn’t become another failed theory, otherwise it will be worse than nothing. The language of science is precisely imprecise, because that’s its nature. We make guesses that may be wrong, because that’s our nature. Stephen, I generally like your posts, but Dr S was one of the first to predict the present cycle as considerably lower than other predictions. In fact, he was real close. So, extrapolate that…. Isvalgaard: The strength of solar polar fields is defiened as (N-S)/2 ? http://wso.stanford.edu/gifs/Polar.gif In 2006 as you published your important papaper “Sunspot cycle 24: Smallest cycle in 100 years?” in Wilcox http://wso.stanford.edu/Polar.html was measured the smoothed fields with -60 , now we have -45 and still not the SSN-Min. So it could be too early for every forecast?? It is, indeed, too early for a firm forecast, but is likely be give us, already now, a lower limit as the polar fields may still grow a bit. Well, science advances by scientists pushing the boundaries of what is currently possible by hypothesising and measuring something to try to refute their hypothesis. The further ahead solar cycles could be predicted to, say, 10 – 15% accuracy either way, the greater the potential, down the track, that meaningful decisions could be made on matters of importance, if and only if, of course, that greater predictive power is accompanied by research leading to greater understanding of the effects of solar output on earthly climatic events. The real customers for solar cycle predictions are the insurance companies who tries to calculate the premium one has to pay for ensuring future space assets. Leif, your idea that insurance companies are the true customers of solar predictions sounds realistic, given the current lack of accurate knowledge about long term climatic changes, both here on Earth & in the gigantic powerhouse at the center of the Solar System. Predictions based on past solar observations have no predictive value if the sun is operating in a mode in which you have no observations. 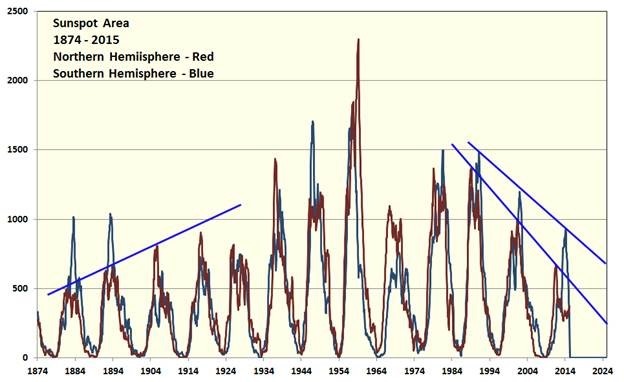 Solar cycle 24 is peculiar, different than all cycles in the last 150 years, different than all solar cycles in the last 8000 years. Based on the trend of recent past solar observations (last year or so) and a physical model of the sun that explains what is currently happening to the sun and how solar cycle changes causes the cyclic abrupt climate change in the paleo record we will start to observe sunspot free days by the end of this year and will start to observe many continuous sunspot free days next year. 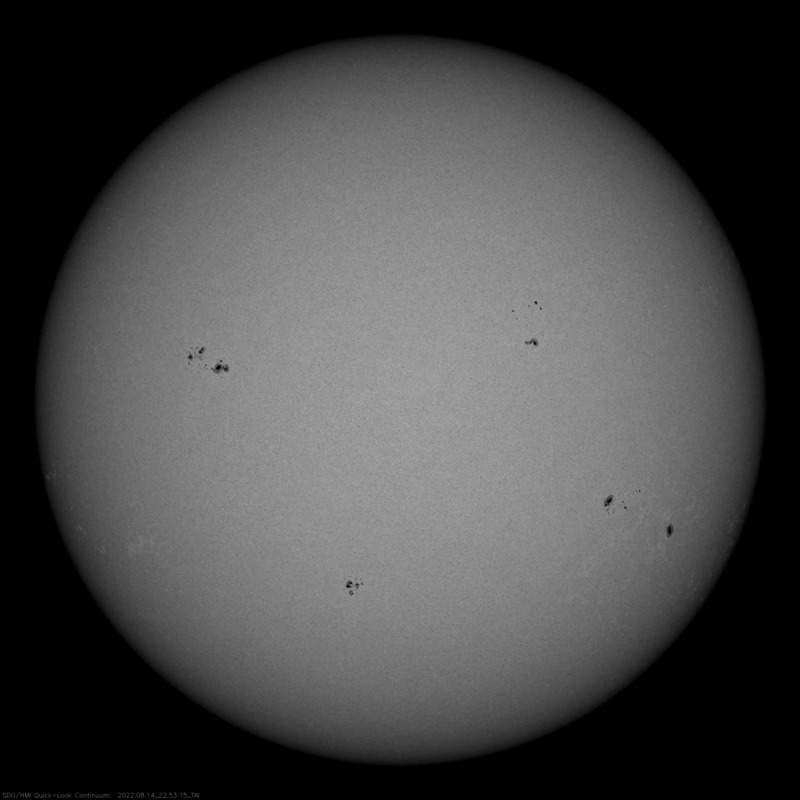 During past cycles sunspots were visible in single frequency, this is now no longer so. 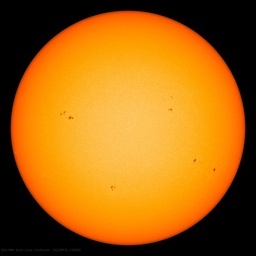 Large long lasting sunspots when they do appear have been replaced with tiny short lived ‘pores’. The solar large scale magnetic field is created by residue from the magnetic flux that rises up to the surface to create sunspots on the surface of the sun. As the solar wind and coronal holes remove magnetic flux from the sun, if there are no new sunspots being formed, strength of the solar large scale magnetic field will fall. The change in the large scale solar magnetic field can be seen easier by actual past readings, rather than an average of the past readings. The paleo climate changes cyclically. The planet warms and cools cyclically. There is a physical reason, a physical forcing function that causes the planet to warm and cool cyclically. That causes the glacial/interglacial cycle. It is an urban legend that the cause of the Bond cycles is ‘chaos’, magic wands. It is an urban legend that orbital changes to summer solar insolation at 65N has anything to do with the glacial/interglacial cycle. Big surprise massive cyclic climate changes occur for a physical reason. Solar cycle changes cause the Bond cycles and cause the interglacial cycle. The sun is significantly different the standard model. A good analogue of what to expect next in terms of how much cooling that will occur is the 8200 year before present abrupt cooling. The minimum preceding the cycle showed other unusual characteristics. For instance, the polar fields were lower than those of previous cycles. In Fig. 1 we show the polar fields as observed by the Wilcox Solar Observatory. It is very clear that the fields were much lower than those at the minimum before cycle 22 and also smaller than the fields during the minimum before cycle 23. Unfortunately, the data do not cover a period much before cycle 21 maximum so we cannot compare the polar fields during the last minimum with those of even earlier minima. 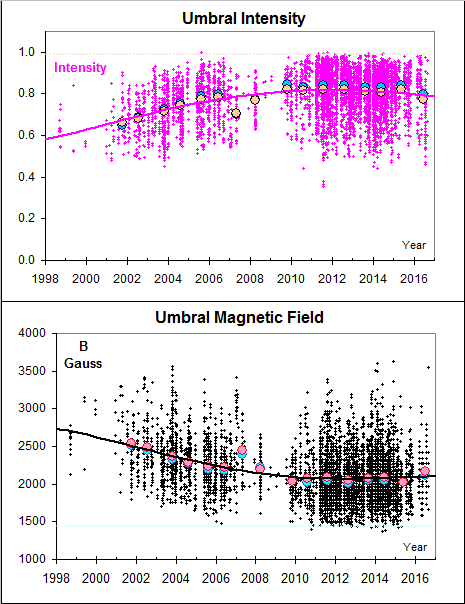 Other, more recent data sets, such as the Kitt Peak and MDI magnetograms, and they too also show that the polar fields were weak during the cycle 24 minimum compared with the cycle 23 minimum (de Toma 2011; Gopalswamy et al. 2012). 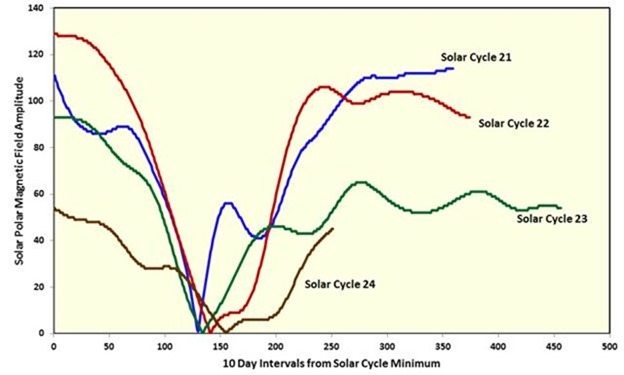 The differences between the cycle 24 minimum and the previous ones were not confined to phenomena exterior to the Sun, dynamics of the solar interior showed differences too. For instance, Basu & Antia (2010) showed that the nature of the meridional flow during the cycle 24 minimum was quite different from that during cycle 23. This is significant because meridional flows are believed to play an important role in solar dynamo models (see e.g., Dikpati et al. 2010, Nandy et al. 2011, etc.). The main difference was that the meridional flow in the immediate sub-surface layers at higher latitudes was faster during the cycle 23 minimum that during the cycle 24 minimum. The difference can be seen in Fig. 3 of Basu & Antia (2010). Since the solar cycle is almost certainly driven by a dynamo, the differences in meridional flow between the last two minima, and between cycle 23 and the first part of cycle 24, may be important factors in creating the cycle differences, which extend into the corona and even cosmic rays (Gibson et al. 2009). Differences were also seen in the solar zonal flows (Howe et al. 2009; Antia & Basu 2010 …etc. ), and it was found that the equator-ward migration of the prograde mid-latitude flow was slower during the cycle 24 minimum compared with that of cycle 23. Yet, your Greenland temperature graph shows this interglacial as beginning when obliquity was about 23.5 and increasing to max while NH summer solstice was at perihelion. As obliquity is currently 23.5 again but now decreasing and NH summer solstice is at aphelion the Earth is beginning to cool. Toss in eccentricity which has been low for the entire period and you get a very noticeable correlation. Yes there is correlation with orbital position and the glacial/interglacial cycle. The forcing mechanism is not however summer insolation at 65N. A single paradox (there are more than a half dozen paradoxes) concerning the summer insolation at 65N hypothesis. This graph shows the Younger Dryas abrupt cooling period. At which time the planet when from interglacial warm to glacial cold with 70% of the cooling occurring in less than a decade. Summer insolation at 65N was maximum when the Younger Dryas occurred. P.S. Can you see effect of a massive cyclic forcing function in the above graph? What the heck could cause extraordinary cyclic warming and cooling of the earth? The paleo climatologist have no clue as to what is causing the cycle and hence invented the super amplification and magic wand hypothesis that uses chaos and super amplification that appears when required to create the effect and then disappears to avoid causing the planet’s climate to oscillate and return to the glacial state when there is short term abrupt changes to the planet’s climate such as a super volcano eruption. How about a melt pulse and North Atlantic drift current you say as the ’cause’ of the Younger Dryas abrupt cooling period? Well that is another urban legend. The massive melt pulse from a draining glacial sheet fed lake occurred a 1000 years before the Younger Dryas cooling. Note there was no cooling. Melt pulses do no interrupt the North Atlantic drift current. Regardless basic ocean/atmosphere modeling, that is support by basic common sense, supports the assertion that a complete interruption of the North Atlantic drift current would only have a minor cooling affect on Europe and the North Atlantic ocean. The 100,000-year problem is that the eccentricity variations have a significantly smaller impact on solar forcing than precession or obliquity – according to theory- and hence might be expected to produce the weakest effects. However, the greatest observed response in regard to the ice ages is at the 100,000-year timescale, even though the theoretical forcing is smaller at this scale. During the last 1 million years, the strongest climate signal is the 100,000-year cycle. In addition, despite the relatively great 100,000-year cycle, some have argued that the length of the climate record is insufficient to establish a statistically significant relationship between climate and eccentricity variations. “During the last two times in Earth’s history when glaciation occurred in North America, the Andes also had major glacial periods,” says Kaplan. The results address a major debate in the scientific community, according to Singer and Kaplan, because they seem to undermine a widely held idea that global redistribution of heat through the oceans is the primary mechanism that drove major climate shifts of the past. The stage 5 problem refers to the timing of the penultimate interglacial (in marine isotopic stage 5) that appears to have begun ten thousand years in advance of the solar forcing hypothesized to have caused it (also known as the causality problem)(putative effect precedes cause). The effects of these variations are primarily believed to be due to variations in the intensity of solar radiation upon various parts of the globe. Observations show climate behavior is much more intense than the calculated variations. The unsplit peak problem refers to the fact that eccentricity has cleanly resolved variations at both the 95 and 125 ka periods. A sufficiently long, well-dated record of climate change should be able to resolve both frequencies. However, some researchers[who?] interpret climate records of the last million years as showing only a single spectral peak at 100 ka periodicity. Milankovitch believed that decreased summer insolation in northern high latitudes was the dominant factor leading to glaciation, which led him to (incorrectly) deduce an approximate 41 ka period for ice ages. Subsequent research has shown that ice age cycles of the Quaternary glaciation over the last million years have been at a 100,000-year period, leading to identification of the 100 ka eccentricity cycle as more important, although the exact mechanism remains obscure. (William: The exact mechanism has absolute nothing to do with summer insolation at 65N). The Earth’s orbit is an ellipse. The eccentricity is a measure of the departure of this ellipse from circularity. The shape of the Earth’s orbit varies in time between nearly circular (low eccentricity of 0.000055) and mildly elliptical (high eccentricity of 0.0679) with the mean eccentricity of 0.0019 as geometric or logarithmic mean and 0.034 as arithmetic mean, the latter useless. The major component of these variations occurs on a period of 413,000 years (eccentricity variation of ±0.012). A number of other terms vary between components 95,000 and 125,000 years (with a beat period 400,000 years), and loosely combine into a 100,000-year cycle (variation of −0.03 to +0.02). The present eccentricity is 0.017 and decreasing. Huybers, P. 2007. Glacial variability over the last two million years: An extended depth-derived agemodel, continuous obliquity pacing, and the Pleistocene progression. Quat. Sci. Rev. 26 37-55. Huybers, P. and Wunsch, C. 2005. Obliquity pacing of the late Pleistocene glacial terminations. Nature 434 491-494. Looks to me that there is a ~1000 year period in the Greenland Ice sheet temp plot. What is that? There is no evidence that the Sun is operating in a different mode. SC24 is not particular peculiar. The graph shows only an~0.5C delta between the little ice age and the present and it’s been up to ~1.5C warmer in the past without known issues. That would indicate that just a little cooling could result in some real crises. Among other missing projections was the original projection for cycle 24 that looked a lot like cycle 23. If anybody remembers. For awhile I gave up on trying to refute CAGW because I I thought solar activity had everything to do with climate. Then I got an email from a colleague, you better look at the solar cycle. A combination of earth’s orbit, a declining solar activity, in the words of CAGW, might, could, maybe lead to some extremely cold years. Ah, so this is why sunspot maxima have a double-peak ! Nice to know…. North-South asymmetry is not static, it has been suggested that there are two solar dynamos, one in each hemisphere, running in parallel but slightly out of phase. I looked into this some years ago and produced an equation extrapolating N-S asymmetry all the way back to the Maunder minimum. One surprising ‘unintended’ product is that there is some correlation to the global temperature undulations. I am not postulating that there is a definite link between two, but again total rejection of such possibility would be imprudent. Did you read my comment right below here? Good point, ralfellis. The fact that those points line up so exactly on two lines over a 30 year period points to a disciplined process in the big, sloppy ball of gas. I think that the force that dare not speak its name operates in 3D. Which means another paper to come and more precision in predicting solar cycles. Thanks for your post today. You have laid out the right ingredients to fire my thoughts and form a clearer picture within. Vukcevic’s post above yours also added to what I am about to point out. I have always felt that there must be a firm connection between solar and ocean interactions. Several years ago I noticed a potential correlation between ssn dominance in the N/S hemispheres of the Sun and changes in the MEI from warm to cool. The Silso page is where I first noted this, but their chart of the hemispheric changes is low resolution as compared to what you just posted with your 30 year chart of N/S ssn shifts. Because of some ambiguity in the connection using the low resolution Silso chart, I have kept the thought to myself for the last several years. Now I can flesh out the connection using your high res 30 year chart. Although, now I can more clearly see that there is most likely some 3rd component to what i am about to outline as there are still some sections that do not mesh, likely a lunar connection. Here we go. Starting prior to 1985, which is close to the solar minimum, the MEI enters into a weak cool phase. 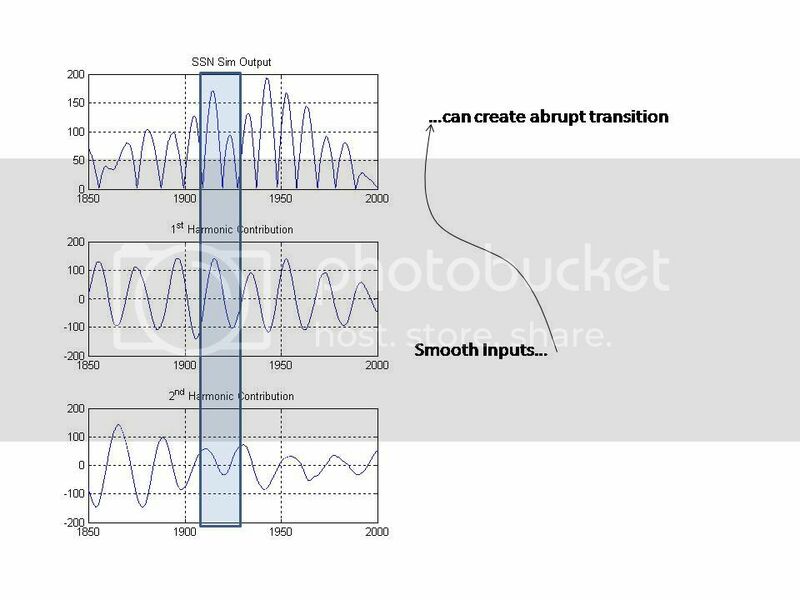 This changes in early 1986 to a warm phase, and by the end of 1986 both solar hemispheres rise swiftly with the South ssn leading the North ssn. This leads to a peak El Nino around June of1987. By May of 1988 the North ssn rides above the South ssn, and the MEI has dropped into a cool trend which lasts until 1990. The North ssn peaks in early 1989 and swiftly drops, and the La Nina peaks around the beginning of 1989 and fades away through 1989. At the very end of 1989 the South ssn rises above the North ssn and the MEI starts to warm. The South ssn stays above the North ssn all the way to 1993. There is a long warm phase/El Nino from 1990 to 1993, when the warm phase dips low as the North ssn moves above the South ssn in the beginning of 1993/ Both hemispheres are dropping towards the minimum. At the end of 1993 the South ssn moves above the North ssn, and the MEI warm phase grows back to an El Nino which ends in early 1995 as the Sun is once again close to it’s minimum. There is now a 16 month cool phase/La Nina. Around Oct of 1996. both hemispheres start to rise with the South ssn slightly leading the North ssn. The MEI enters a rapid warm phase/El Nino, the 1997/98 Big One. In early 1998 The South ssn drops for a few months while the North ssn continues to rise. Around April of 1998 the MEI crosses back into cool phase/La Nina.Then the North ssn dominates until early 2000, note the little warm spike on the MEI in early 2000 as the hemisphere ssn are equal. The North ssn once again rises above the South ssn until early 2001, and the MEI is mostly cool phase/La Nina with a brief warm phase in early 2001 then a brief cool phase. In mid 2001 the North ssn is now dropping while the South ssn soars. The MEI takes off into a warm phase/El Nino until mid 2005, then a brief cool phase and back to warm phase/El Nino until very early 2007. The South ssn prevails over the North ssn the entire time from mid 2001 to early 2007, except for a brief moment in early 2004 when the North ssn rises briefly while the South ssn is descending, note the little cool phase spike on the MEI in early 2004. This reads like a book. Now we come to the solar minimum and the MEI runs cool phase/La Nina up to very early 2009. From early 2009 to early 2010 there is an El Nino that I can not explain. In early 2010 to early 2012 the MEI rapidly enters La Nina. The North ssn has risen rapidly above a weak rising South ssn from 2010 to 2012. The North ssn drops just before 2012 to meet the lower positioned South ssn around April/May of 2012. There is a rapid but short El Nino spike, followed by a quick back and forth North ssn over South ssn several times. Note the MEI quickly cools warms cools warms cools. We are close to the end of this now. Lastly, around March of 2013 the North ssn flatlines while the South ssn soars high. The MEI has been in warm phase/El Nino ever since. The Earth has had well above average temps ever since 2013. And that is how you correlate the interaction between the Sun, the oceans, and global temperature on this planet. I would bet that by looking at the past history of the MEI, I would be able to outline which hemisphere of the Sun was ssn dominant over the entire record of the MEI. One last remark, note that the North ssn continues to track sideways while the South ssn is plunging. Thus the North ssn is now just peeking above the South ssn. If this continues, then the MEI should head towards a cool phase/La Nina in the very near future. It will be of interest to see how long this takes. The plunging South ssn is certainly headed towards it’s minimum as can be seen by looking at the path shown in the previous two solar cycles. The North ssn should follow around 2 years from now, although I would have to call the current behavior of the North ssn unusual. What might that portend? Thank you David Archibald and Vukcevic for sharing your thoughts. These are my thoughts in return. There is more that I could add later after further contemplation. This also gives new life to my attempt in trying to forecast ENSO shifts. I can catch a glimmer of thought of where I went wrong in my initial attempt. I wager that history will prove David Archibald correct. Time will tell. Re. 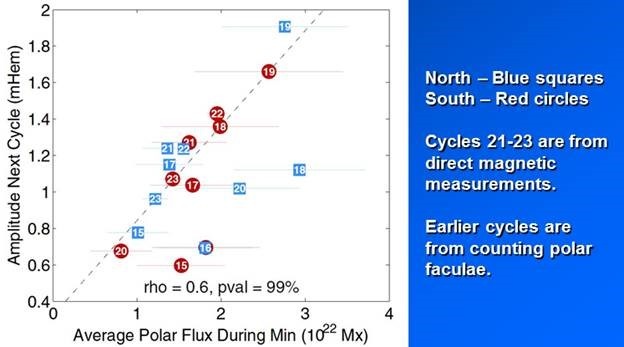 Dr Hathaway’s chart of “Next cycle amplitude” vs “Average polar flux during min”. I don’t see that chart in the PPT found at the link. Is it derived from another chart therein? 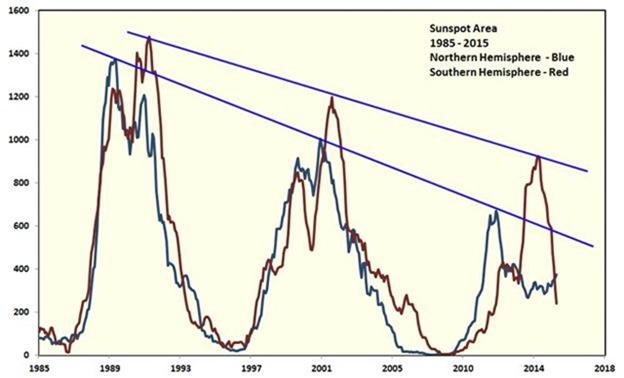 Where would solar cycle 24 sit on that chart? Many of the projections/predictions/extrapolations/suggestions for SC24 were wildly off the mark – maybe this approach would have been as well? Lastly, how much faith would you put in a “forward looking statement” based on only 23 previous data points? Yes, most predictions of Solar Cycle 24 were wildly wrong, and one of the wildest and most wrong was from Dikpati of NASA. That is why most solar physicists are not making a prediction on Solar Cycle 25 – the risk/reward ratio is not good, plus they don’t have models that work. Re data points, 23 would be a luxury. The second methodology is two lots of three. Good morning Leif – hope you are well. Some of the above comments directed to you are mildly offensive, or simply wrong. I remind readers that Leif made a correct early prediction that SC24 would be weak, when NASA (Hathaway) as late as ~2006 (or even 2008?) said it would be robust. I suggest that one’s predictive track record is the only objective measure of one’s scientific competence. Every scary prediction (aka “projection”) made by the IPCC and global warming alarmists has FAILED TO MATERIALIZE. Natural Global Cooling will be apparent by year 2020 or sooner (in 2002, we wrote cooling by 2020-2030). On this matter, I sincerely hope to be wrong – cold weather kills about 20 times more people every year than hot weather. “when NASA (Hathaway) as late as ~2006 (or even 2008?) said it would be robust. …. not always the case. dotted line is ‘vukcevic formula’ published 3 years earlier (January 2004), its extrapolation indicated that the SC24 peak would be ~80 ( link ). Dr. Hathaway’s opinion at the time ‘not possible !’. Now we know, and all indications are, that the equation’s extrapolation’s is in line with the evolution of SC24. No one here would seriously suggest that the ‘vukcevic formula’ is an objective measure of the author’s scientific competence. Especially because the formula is a dismal failure, e.g. Now, now, Dr.S, you are only envious because ‘vukcevic formula’ preceded your prediction of SC24 by a couple of years. In the graph there are 3 red dots on the total of 13 cycles (if correctly indicated SC24 is added ) which gives 77% accuracy. Good enough for an amateur. Since in the solar science data nothing is 100% accurate, if I was in the business of the Sunspot Numbers ‘modernisation’ (your quote) as are Dr. S and his company of the merry men, I could give a ‘haircut’ to the data and match the ‘legendary 97%’. The tree red dots are among the worst offenders. You get the phase wrong for several other cycles. In short: failure. April 21, 2012 at 9.48 pm: … may presage that cycle 25 may be the start of a grand minimum. November 19, 2015 at 12:10 am : Cycle 25 would be no weaker than 24.
up -down – up, kind of a sine-wave undulations ? No, just showing that premature prediction is no good. Now that the polar fields are beginning to stabilize, the prediction gets better. Due to the supersonic solar wind no magnetic fields can be felt upwind [i.e. at the Sun] from those planets. I would go with sooner. Didn’t Professor Arnab Rai Choudhuri also predict that SC24 would be a weak one, Allan? Yes, he did; using my data and my theory, showing that it was compatible with his dynamo model as we both predicted the same outcome. His work was a nice confirmation of the physical basis for my prediction. Here is a compilation of predictions for SC24. As you can see, there are 45 of them, more than enough to fill a roulette wheel, and they are “all over the map”, so somebody had to be close. Ladies and Gentlemen, faites vos jeux! Post Script: I have NO opinion on SC prediction since I have not studied it. I tend to follow Leif’s opinions because he actually has a track record – and if I recall correctly he said it is a bit too early to predict SC25 – wait until about mid-2016. Skill Testing Question – How many people were predicting imminent global cooling more than a decade ago? Penn & Livingston’s hypothesis is when the Umbral Magnetic Field (UMF) falls below 1500 gauss, sunspots will ostensibly disappear, leading to another Grand Solar Minimum (GSM). Looking at the current UMF downward progression since 1996, it seems SC26 (around 2033) may be when a GSM starts and which could last 50~100 years. Some Russian astrophysicists suggest such a Grand Solar Minimum may lower global temps by 1C by 2100. The Mother of All Ironies is that 0.5C of total gross CO2 forcing by 2100 may actually offset some of the negative impacts of a cooling earth from a GSM. Nothing will stop the next glaciation coming 10 to 20 thousand years from now. Enjoy the warm weather while you have it. If it doesn’t come sooner. What is the proof it will still take thousands of years ? or ten thousands of years ? or …. just guesses ? One thing is sure, warmer is better ! But until then, our feudal lords, i.e. the Al Gore global socialists, want us to live like peasants so we don’t deplete the oil they need for their jets and yachts. Shame on us. There is no “proof”, but if eccentricity rules, as it appears to do, then the Holocene will be a super interglacial, like those or 400,000 and 800,000 years ago. It might well last longer than both of those, ie 30,000 more years or more. However, it could still be pretty cold, thanks to the other parameters, with LIA conditions the norm and the cool phases chillier still. No extensive NH ice sheets would grow, as during an glacial, but forget about the Greenland ice sheet melting. In the two prior super interglacials, the southern dome of the GIS did indeed melt (apparently), but only because the early warmth of those interglacials was hotter for longer than the Holocene climatic optimum. Eccentricity doesn’t rule. It did not rule the original Milankovitch theory and it does not rule according to the evidence from the past 2 million years. Obliquity rules, and obliquity bottoms in 11,000 years. In a few thousand years temperatures will become so low that snow will not melt in Northern Canada during the summer and sea level will start to go down. Glacial inception will take place. Eccentricity doesn’t rule. It did not rule the original Milankovitch theory and it does not rule according to the evidence from the past 2 million years. Obliquity rules, and obliquity bottoms in 11,000 years. Problem is obliquity doesn’t rule either at least near the middle of major ice ages, as it needs another factor with it. Yes. It is known that not all obliquity cycles cause termination since about the Mid-Pleistocene Transition. There is at least another factor, and there are several proposals in the literature. One is that temperatures have to get into full glacial condition versus mild glacial condition, another is that sea level has to get low enough. They are all related to the concept of creating a very strong feedback capable of getting the planet out of the default glacial condition. An increase in CO2 IS beneficial; it makes the planet greener. We should be building MORE coal plants. The gross forcing of CO2 is half that, if that. But their policies do not reduce CO2. One thing that we can be certain on and that is whatever commitments are made in Paris, CO2 will continue on a BAU basis until some new technology comes along which either permits cheap mass storage of energy so that the energy produced by wind and/or solar can be stored so that their energy if 100% despatchable, or until energy can be produced as cheaply and as despatchable as fossil fuels produce energy, and this new form of energy is not simply just as efficient but produces significantly lower carbon emissions. So if there is cooling over the next 20 to 30 years, or if the temperatures simply continue to flat line over the next 20 to 30 years, it will not be coincident with a reduction in CO2 below 400ppm, or even with CO2 only increasing modesty say to 410 to 420ppm. It will be difficult to see how they will be able to claim victory when there has been no reduction in CO2. back down to 1990 levels, let alone below 1990 levels as they are seeking to achieve.. I suspect that they do know it’s going to get colder. The measures will slowly kill a whole bunch of us off before chaos sets in. They don’t have any solutions to a colder world. None. That’s the urgency in getting the laws passed to control co2. You really think they are going to let you keep your house warm by burning firewood? A scientific/statistical note of caution here. Since we seem to have entered a populist post-scientific era (not that there is a lack of good scientific work being done, but rather the situation of an excessive politicization of science being present coupled with a public that has no clue as to the “certainty” of knowledge and how the scientific method really works), all of us have to be very careful when evaluating theories based on or evaluated by very few actual data points. This is extremely true when the theories or forecasts happen to line up to what our personal biases or agendas may desire. Case in point: me. I am well qualified to evaluate the scientific merits of climate science, having an extensive educational background in both statistics and atmospheric sciences, but moreover, having been employed in a position where I not only had to model climate, but had to correctly forecast it, with my future employment tied to having to *actually be right*. Because of this background, the manifold problems with the current large scale state of climate “science” are readily obvious to me – problems that include fabricated data (i.e., homogenization adjustments that are always in the direction of the desired outcome), “proofs” based on computer models where the modeling assumptions are essentially the conclusions, the failure to discard theories with falsified predictions, and the very apparent religious overtones to the “science” in which humans are “sinning” against a very pristine environment that was in some mythical state of perfection before humans came along (maybe lions and lambs used to cuddle before humans ruined the environment???). So my natural reaction as a human being is to want to rail against this insanity and hope that it gets so massively falsified that it all goes down the drain. And now I get to evaluate (at least on a personal level) speculative theories relating climate to solar activity and forecasts for weaker solar activity going forward that are based on very incomplete models with few data points. Because my natural bias is to desperately want this to be true, I must slay all such emotional desires aggressively and ruthlessly if I am ever to have any hope of being an objective scientist or if I wish to help the cause of “real” science to go forward. If I fail to do so, I will then end up committing the same types of sins that have caused climate science to become a scientific joke. Given this, I do not buy whatsoever any of the conclusions or implied inferences in this article on WUWT. Not that it isn’t true (I don’t know), but because the standards of proof necessary to convince me given the need to be ruthless with my own biases are not even remotely being met. I would encourage others to evaluate such theories with a heightened sense of one’s own preconceptions. Maybe I am being too harsh, but I have to be. And to the author: By all means, please continue to theorize and make predictions. If we are all objective, and as more data gradually accumulate, the truth, or at least some model that is close enough to the truth to be useful, will eventually emerge. And I applaud your efforts to help bring this about. In the plot showing cycles from 1874 to 2014 above any three consecutive cycles usually are not a good predictor of the forth one if linear or parabolic fit to peaks is used. Yes, 22, 23 and 24 peaks fall in linear fashion but so what? Yes, I noticed that too Peter. Predictions of solar cycles is as dangerous as juggling samurai swords. When one has significant skin in the game, one tends to be very careful when choosing a course of action. “significant skin in the game” is the norm for engineering, and in some branches not just your own. I learned many years ago to believe in absolutely nothing, to only accept things as having some probability of being correct. As such, the probability of zero nor one exists except where the probability of one is zero. Well said. With Alarmist ‘climate science’ we have confirmation bias run amuck, in service to ideological ends that have nothing to do with the scientific method, which has been abandoned by the wayside. It’s as though a cabal of geologists decided to highjack their field in favor of sacrificing maidens to active volcanos, in order to to prevent a Global Eruption, and called it ‘geological science’. Your wise caution does make one wonder whether there might be an element of wishful thinking in all the predictions of ‘a cooling sun’. It would certainly put a crimp in the Alarmist plans, and that might even enable real climatologists to revolt and take back their discipline. But we will have to wait and see. That’s probably the most accurate description of the current state of “Climate Science” anyone has come up with to date. Thank you. I agree with all that you say, however pioneers in any field have by necessity to either spend lifetimes simply collecting data and not doing anything with it; or they have to try out various hypotheses based on limited and incomplete data and try and shoot them down. The only way that mankind will ever get to predicting future solar activity accurately is to study solar physics, to develop hypotheses and test them. Many of them will be wrong, but the only way to finally hit on some which stand the test of even 10 solar cycles is to keep on testing plenty of what will turn out to be duff hypotheses……. The study of science is a wonderful thing, which should be encouraged, but it is hard to see how predicting the next solar cycle can be put to practical use by humanity. Even with an accurate prediction of a new LIA, does anybody seriously think that humanity would be enlightened enough to ramp up storage of non-perishable foodstuffs in readiness? I doubt the food would even be edible when it was needed decades later. Besides, with current technology, we have the ability to produce as much food as we need & transport it to where ever there is a buyer for it. In Australia today it was revealed building of a 50 acre greenhouse in the desert is underway. It will use solar power & seawater to produce tomatoes & capsicum year-round. The company has a 10 year contract to supply 25% of Australia’s annual consumption of trellis tomatoes to a supermarket chain which controls 40% of our grocery market. So, as Leif suggested, who other than insurance companies needing to set premiums for a venture to Mars will have a use for such information? It seems a bit like counting angels on the head of a pin to this poor benighted individual. I recall Hathaway originally predicted a very large cycle 24, with sunspot numbers peaking around 160. What prediction technique was used then? Hopefully something different. The superimposed lines are neither at 80 degrees nor at the same angle relative to one another. Perhaps this does not adversely affect the point you were attempting to illustrate but it detracts from your message, watever that was. 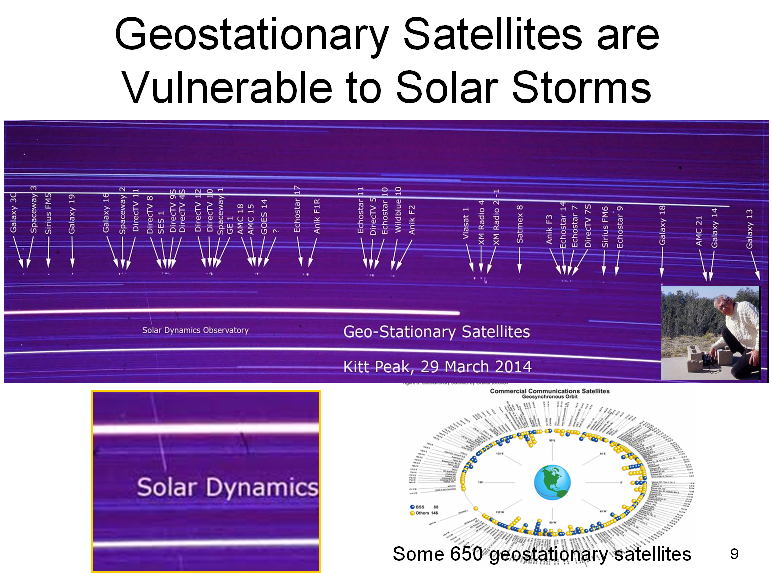 Satellites are also vulnerable to GCRs. solar activity will fall by 60 per cent during the 2030s to conditions last seen during the ‘mini ice age’ that began in 1645. Zharkova’s theory fails to hindcast the sunspot number going back in time, so could hardly be employed to represent the sunspot number going forward in time. Dr Svalgaard is correct in this instance. Zharkova is just piling on. From memory, she based her projection on just three cycles of data. And the projection of cooling is far enough out in time that she gets another 25 years of citations out of it. The fact that she got so much publicity indicates that the public is aching for such stuff. Zharkova said ‘we predicited solar activity back to 1000 and forward to 3000 years’. And she got it wrong. the two hemispheres have different drivers. The northern hemisphere had a consistent rate of increase in amplitude from Solar Cycle 12 to Solar Cycle 15. The southern hemisphere had the opposite trend but with a step-like change. Apart from sunspot number, if the N/S dynamos have “different drivers” and these are cyclic, why would there not be a corresponding beat frequency and thus high/low variations in the combination? 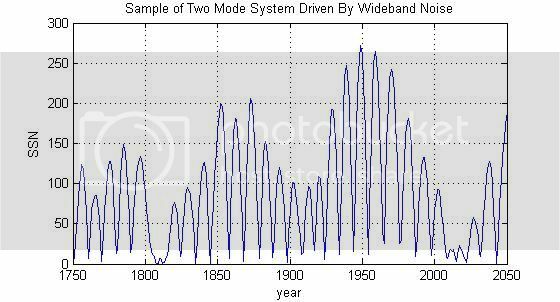 N & S don’t have different drivers, and the theory is falsified because it does not hindcast past solar cycles correctly. And the paper has been republished by Nature less than one month ago. So, may be there is something correct in Zharkova paper ? Leif’s link is a much better picture. Any chance of getting this on the Solar page? Yes, the best reconstruction we have at the moment. Of course, there are always ‘rearguard’ actions to preserve status quo even in the face of the evidence. It’s unfortunate that an expectation has to be clearly stated. “This new improved version of the Sunspot Number …. now that its has emerged from a long lethargy…. Looks like it was written by someone with a sense of humour. I read that too, but it was unclear is that was directed at the new data or the Sun? Solar data was published daily, the sun just passed through its Grand Maximum, so it can’t be either. I remember a previous article on WUWT about sunspot umbral fields vs intensity, with the hypothesis that eventually the magnetic fields will decline to the point that sunspots will no longer be visible (if I remember correctly). I did a search, and could only find umbral field graphs up to the end of 2013. Are there any more graphs out there that are more up-to-date? 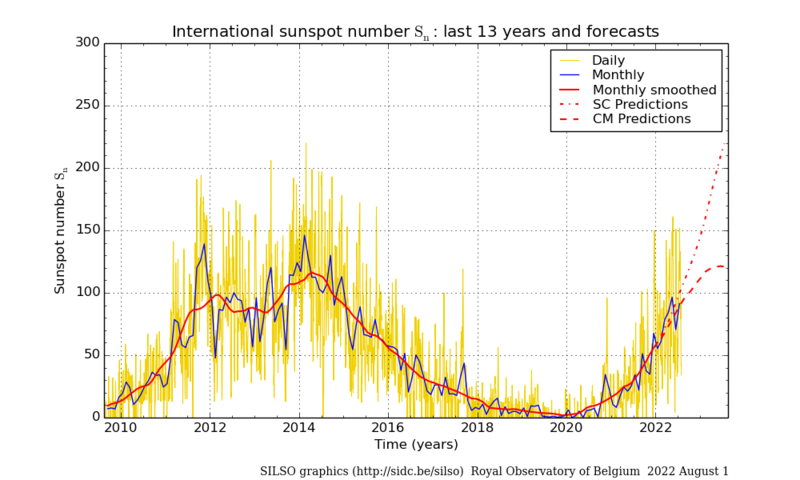 Thanks Vukcevic for the link to the REAL sunspot data. Amplitude modulation of a carrier frequency. As always, nature bats last. Thanks for the replies. Looks like “things” are starting to level off. 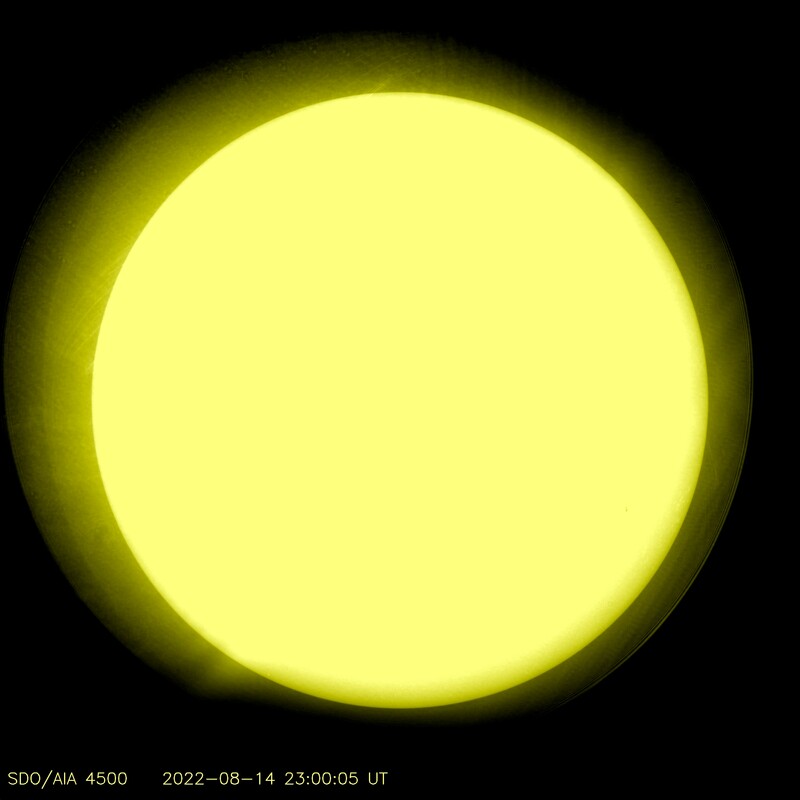 It is a guessing game as of now what the future holds for solar activity. One can make any argument they want and be convincing to a point. With solar I do not think the past is necessarily a good indicator of what the future may hold. While I am a healthy skeptic, this is a “throw away” statement. No commitment. No substance. Please, if you would be so kind to take the time, explain very carefully what your “expectations of climate” are, based on this data. As noted above, IMO he refers back to his title, ie association between the Dalton solar minimum and cooler climate. While causation might be murky at present, the correlation of minima with cold is well established. Certainly interesting times ahead. I hope some of us can “stick around” and see! Unfortunately (or fortunately if you are living a miserable life) Apophis will strike the Earth in 2036 and end it all. Well, at least it was fun while it lasted. NASA claims it will miss. It’s probably too small to wipe out all of humanity, anyway, so Greens will have to do that on their own. So you can understand my concern. I share your concern Tom. Kinda like dealing with the ever changing “Cone of Uncertainty” with our hurricane forecasting here in Florida. . Since NASA can’t be sure this far in advance, it would be wise to spend money on asteroid moving missions rather than PC, ideology-driven climastrology. I like it, however it does disparage astrology a bit. Sun spot data are dominated by the rectification of two cycles at about 20 and 23.6 years, which is equivalent to a cycle at 20.2 years modulated by a cycle at 262 years. These are not pure sinusoidal components, but rather the modal responses to wideband, effectively random, forcing. As a result, the peaks are not uniform, e.g., the peak midway between 1950 and 2000 is lower than would be expected if the series were the sum of uniform sinusoids. The above plot is obviously not a fit to the real data, so please don’t anyone give me grief from that point of view. It is an open loop run of the model. But, it shows similar features to the real data, e.g., in the anomalous lowering of the peaks just before 1900, and before midway between 1950 and 2000. In theory, those smooth components should be fairly predictable. As employed in ‘vukcevic formula’ published Jan 2004. Feedback modulation between three strongest sources of the magnetic fields within solar system. Eh, maybe. But, there are so many celestial harmonics to choose from that you can always find something, somewhere with a superficial match. And, there is the non-uniformity I referred to that makes me believe it unlikely this is a manifestation of highly coherent planetary forcing, not to mention the very weak coupling mechanisms that we know of. I think it is more likely these are two resonant modes of the Sun, and they are randomly excited by processes within its nuclear furnace. Bart, Sunspots are magnetic events, thus it make sense (until we know better) to consider that cause-consequence is interaction within strong nearby magnetic field sources, and the periodicity numbers as you found in your analysis are there. Without presence of the external fields, solar sunspot activity would still exist, but possibly more ‘random’, a kind of the Earth’s volcanic activity, throw in a bit of positive magnetic feedback and hey presto you get relatively regular osculations. Due to the supersonic solar wind, there are no magnetic effects from Jupiter, Saturn [or any other planets for that matter] on the sun. all emanating from the sun and returning back to the source. No, the magnetic effects do not ‘return to the source’. What the figure shows are energetic electrons streaming along the magnetic field to and fro the sun. much as they do in the Earth’s magnetic field. The red arrows show the direction in which a compass needle would point as the compass is hurtling AWAY from the sun at 400 km/sec. No magnetic field frozen into the superconducting plasma moves upwind against the solar wind. I think I have explained this dozens of times. Sun generated magnetic field is spreading through heliosphere as either open or closed field. Closed field lines configuration is continuously ‘interfered’ by orbital properties of two gas giants, which happen to be the next strongest sources of the magnetic field within the solar system. Time varying magnetic fields give rise to electric fields and vice-versa. We then must speak of electromagnetic fields rather than of ‘detached’ electric or magnetic fields. Solar wind is no obstacle to the low frequency electromagnetic propagation, as the ordinary atmospheric wind (generated by atmospheric pressure difference) is no obstacle to the low frequency sound propagation by varying the atmospheric pressure. Somewhat nonsense. The solar wind drags the sun’s magnetic field out into space. Electromagnetic waves are sunlight, not waves in the solar wind plasma. The waves in the plasma are magneto-hydro-dynamic waves https://en.wikipedia.org/wiki/Magnetohydrodynamics and cannot propagate upstream because the solar wind outward speed is an order of magnitude faster than the Alfven speed with which MHD waves propagate. Your ideas are physically incorrect [nonsense] as you have been told numerous times. “Electromagnetic waves are sunlight” and that it’s then. Have you not ever heard of the ELF? NASA’s Dr.Hathaway found hard way that ‘vukcevic formula’ works, fact that you wish to ban, proscribe, forbid or prohibit its presence is inconsequential for its validity. ELF is radio waves which are just long wavelength ‘light’. The Sun [and all bodies for that matter] emits such waves. You do too. Except that it is not valid, nor original, nor worthy of consideration. Dr. Hathaway was completely correct in his assessment of your nonsense. ELF is significant factor in the polar jet stream lat/long orientation, controlling the N. Hemisphere’s weather patterns. Solar wind can’t stop propagation of the ELF regardless of it going up- or down- stream. BUT IT WORKS ! funny that. You know very well that ‘vukcevic formula’ is valid, it is original, it is worthy of serious scientific consideration; testament to it is the time and effort you spent over last half a decade of your valuable time in the fruitless ‘rubbishing’ of it . Solar wind also cannot stop light from the stars reaching us. The point is that there is almost no energy in those waves. I shall always oppose pseudo-science when it rears it ugly head. Now that is a nonsense! ELF energy (and it is initially pure electromagnetic energy) produced by a single CME hit at the Earth’s magnetosphere (with only a small fraction of the impact is absorbed) is equivalent to energy of an M6 quake. For Jupiter’s magnetosphere multiply that by 19,000^2 (The magnetic field of Jupiter is 19 thousands times stronger than the Earth’s magnetic field). Sun’s magnetic ropes pulsate at rate of about 8 sec (not related to the sun-Earth distance), making it ultra ELF, since time varying magnetic fields give rise to electric fields and vice-versa, we then must speak of electromagnetic fields and energy. ELF energy (and it is initially pure electromagnetic energy) produced by a single CME hit at the Earth’s magnetosphere (with only a small fraction of the impact is absorbed) is equivalent to energy of an M6 quake. No, the energy in a CME [and in the solar wind in general] is not in the form of ELF but is kinetic energy of the particles and takes 1-4 days to get from the Sun to us, versus the 8 minutes a radio wave would take. the effect provides the feedback, while the ordinary common solar wind is swept out of the way. You are constantly misinterpreting the point by pointlessly repeating ‘ no planetary magnetic field can reach the sun’. Nonsense. When a plasma is traversing a magnetic field [solar wind blowing into Earth’s magnetic field] an electric field is generated. This field drives a current of charged particles [see Figures 1 and 2 in http://www.leif.org/research/suipr699.pdf ]. The current accelerates charges in the upper atmosphere and their kinetic energy when crashing into the air creates the aurorae. No electromagnetic waves in play. Doc, you need to go back and read some of the stuff written by James Clerk Maxwell. On the other hand, since you seem resistant to learning, my advice may fall on deaf ears. Dr. S. It is perfectly acceptable for you to continue to rubbish my equation, for now it works and that is the fact but opinions are not; now we have to wait and see what happens with the next cycle. So called ‘magnetic reconnection’ releases a transient electromagnetic disturbance better known as an electromagnetic pulse. Telegraph cables were not damaged by ‘kinetic energy of charged particles crashing into the air ‘, they were damaged by the electromagnetic pulses of the Carrington event. A similar, but milder, storm occurred in March 1989. It knocked out power supplies in Quebec, Canada. Both events are easily, accurately and scientifically explained by the Maxwell’s electromagnetic theory, who as you say apparently knew nothing about plasma. Thanks for the compliment, however flattering, but not correct. I can say with high degree of certainty that Maxwell’s equations work, and as it happens my equation appears to work too, that is where any, however unlikely, similarity ends. Next thing you might say that Tesla was another charlatan who knew nothing of electromagnetism, electromagnetic waves or plasma. No, again, you do not know what you are talking about. The reconnection event does not release an electromagnetic pulse [ELF radio waves]. What happens is that reconnection on the dayside of the magnetosphere drags the magnetic field lines onto the nightside forming a long tail of magnetic field lines in the antisolar direction with one polarity in the northern part of the tail and the opposite polarity in the southern part of the tail. This configuration has a lot of magnetic energy stored in it, and reconnection in the tail releases that magnetic energy accelerating charged particles towards the Earth forming strong electric currents. These currents vary strongly and thus induce strongly varying magnetic fields in conductors on [and in] the Earth. Strongly varying magnetic fields induce further electric currents, and those currents do the damage to our infrastructure. No ‘electromagnetic waves’ in play. No ELF [radio waves], just DC currents. “… radio waves” ?! ?! Huh….. you do need to go back to do some reading. for the rest, best forgotten. Yes, you claimed that ELF waves were responsible. “Extremely low frequency (ELF) is the ITU designation for electromagnetic radiation (radio waves) with frequencies from 3 to 30 Hz, and corresponding wavelengths from 100,000 to 10,000 kilometers. In atmospheric science, an alternative definition is usually given, from 3 Hz to 3 kHz. In the related magnetosphere science, the lower frequency electromagnetic oscillations (pulsations occurring below ~3 Hz) are considered to lie in the ULF range, which is thus also defined differently from the ITU radio bands. X-rays and extreme UV radiation reach Earth at light speed, ionizing the upper layers of our atmosphere; side-effects of this “solar EMP” include radio blackouts and GPS navigation errors. Are not CMEs and solar wind related. Again, you are conflating, confusing, ranting about things you do not understand. The projections from your 2006 and 2008 papers published in Energy & Environment re imminent global and mid latitude cooling due to reduced solar activity during solar cycle 24 appear to have failed. Reduced solar output indeed occurred; just not the global or even regional cooling predicted. In fact, according to all the global data sets we have, both surface and satellite, there has been an increase in global surface temperature since the onset of solar cycle 24, which began in Jan 2008 (according to Wiki). Perhaps you could expand on this and maybe give an insight as to why you believe your projections failed so drastically on these occasions. I should clarify that the satellite data of course represent lower troposphere average temperature, rather than surface temperature. Apologies for that. Even so, both the lower troposphere (satellite) data sets also show warming since January 1998, the onset of solar cycle 24. That should be January 2008, not 1998. Not my night! David’s predictions never fail because he just keeps moving the goalposts. We’re now looking at SC 25 for our “expectations of climate to be adjusted”. Though David won’t admit it, when he first started his making climate predictions he predicted significant cooling by then end of the long 23 cycle. When that failed to materialise he shifted to “cooling over cycle 24”. We’ve now moved on to SC 25. To justify his Solar Cycle Length/Climate correlation he claims that there was a 1970s cooling period when, in fact, the cooling period began in the 1940s and ended in the 1970s and included the most active cycle ever recorded (SC19). The fact is that there is no evidence that the small changes in the sun’s output has anything other than minor affect on global climate. The only reason why people believe this is because ENSO hides it. This will become clear in the future when we have more accurate data covering a longer period. It is natures key negative feedback that keeps the planet relatively stable. When the sun becomes more active the trade winds increase via the change in Walker circulation it causes, resulting in more La Nina events. This has been found to occur with high-resolution sediments off Peru during the warmest periods of the last 11,500 years. This hides the atmospheric temperature trend from increasing solar activity because it causes more ocean upwelling, bringing colder waters to the Tropical surface. This in turn cools the immediate atmospheric global temperatures indicating a relative short term cooling climate. What it not seen at the surface is how much of this extra energy from the sun is absorbed into the oceans while mixed with colder water in especially the tropics. Eventually the oceans will increasingly become warmer and this extra energy is released back into the atmosphere in future, once the solar activity declines again. The result is short term atmospheric cooling, but long term ocean warming. This change was particularly noticeable once the Pacific shift event occurred back in 1976. When the sun becomes less active the trade winds decrease via the change in the Walker circulation it causes, resulting in more El Nino events. This has been found to occur with high-resolution sediments off Peru during the coolest periods of the last 11,500 years. This hides the atmospheric temperature trend from decreasing solar activity because it causes less ocean upwelling, resulting in energy build up around the Tropical ocean surface. This in turn warms the immediate atmospheric global temperatures indicating a relative short term warming climate. What is not seen at the surface is how much of this extra energy from the sun previously absorbed before is now lost to the immediate atmosphere especially in the tropics. Eventually the oceans will increasingly become cooler and this loss in energy will continue, until in future solar activity increases again. The result is short term atmospheric warming, but long term ocean cooling. This change has not been observed yet and something that this theory when verified will have occurred in future. Referring to “That should be January 2008, not 1998. Not my night!” below. It’s still not your night: SC24 started in December 2008/January 2009, so you were a year out. Glo.Bull Warming is causing the Sun to ” Act Stupidly ” ….B.H.O. Some insight into potential solar activity during the next solar cycle. A Dalton Minimum will most likely not be as severe as a Maunder. Only time will solve the issue. Did you think that made sense? It doesn’t. Thanks Brian, I don’t think it does either. This change has not been observed yet and something that this theory needs to occur in future for it to be verified. This change has not yet been observed and something needs to occur in future for the theory to be verified. Is that 30 year sunspot chart depicting both hemispheres your handiwork? I see that the northern hemisphere has remained the more active region for several weeks now. I would like to continue to follow the progression of any changes as I believe that this will lead to an important change in the ENSO regions relatively soon. Your 30 year high resolution version has been a great aid to me. Yes, the 30 year chart is mine. I am still making original contributions to solar science. Bizarre. First, it is not a ‘contribution’ to solar science [there is no science in it] and there is nothing original about it. Bizarre, indeed. Thank you for the courtesy of your replies.